IS CHOOSING A MORTGAGE IS AS EASY AS BOOKING A TRIP OR TRADING A STOCK?…LET’S FIND OUT! Sure, you can book a flight online or a buy a stock through the web. But, can you really choose the right mortgage product on your own? Can you really find the absolutely lowest cost mortgage financing option? I’ll bet some consumers can. I’ll also bet the vast majority cannot…. and there’s a steady stream of horror stories, on this news site and others, that show just how costly and financially dangerous it is to be in the wrong mortgage product, with the wrong lender. I’ve shared dozens of those experiences on this site. Consumers who were directed into the wrong mortgage by their Banker or by some web site claiming to offer ‘the lowest rate’. I empathize with these consumers as I believe they were just trying to save some money but instead ended up paying far more than they had to. WE CAN FIND IT ALL ONLINE… BUT CAN YOU DO IT YOURSELF? MORTGAGE RATE SHOPPING SITES ARE FAIRLY NEW! Mortgage rate shopping sites promised to find you the lowest rate available via their online service. They compare broker rates against broker rates. These sites started to get a lot of web traffic in the late 2000’s. Sure, we all want the lowest rate, right? Or, do we want to pay the least amount of money to own our homes? Being in the right product is cheaper than finding the lowest advertised rate in almost all cases. Just ask those consumers that are dealing with inflated prepayment penalties of 10, 15, 18 months worth of interest. Penalties costing them $20,000, $30,000 and $40,000 (all the BIG SIX BANKS use an inflated prepayment penalty formula). Or consumers that were directed into a 5 yr fixed rate mortgage because of supposed fears of rates going up.. only to see rates actually went down (Nov 2008 and all of 2009 was a great example of this). Or consumers that can’t payout their mortgage because the BANK inserted a clause stating they must sell their home before they pay it out (by the way, one of the BIG SIX BANKS has this clause in one of their popular product offerings). An fyi… some of these rate shopping sites decided it could be lucrative to own a Mortgage Brokerage firm… so they now compare rates of a handful of other Mortgage Brokers AND list their OWN Mortgage Brokerage firm’s rates… Can they truly remain unbiased? Anyone see a potential conflict of interest?? Buyer beware, I guess. WHEN WAS THE LAST TIME YOU SPENT $500,000 ON A FLIGHT, OR STOCK PURCHASE? For some reason, consumers put stock trades, booking flights and mortgage shopping in the same category. Consumers want, and believe they can do it all on their own. While I applaud the independence, trying to become an expert in all fields can be an expensive lesson. You’ve heard the saying… ‘jack of all trades, master of none?’. The truth is, Mortgages have changed over the past 10 years. And they continue to evolve as the govt introduces more mortgage rules. Who is taking the time to read these details? I’ll bet the average consumer isn’t looking out for this. We’ve seen BIG SIX BANKS exposed on TV, where even the branch staff are either unaware of the changes or can’t discuss them intelligently. Remember the CBC Marketplace expose regarding collateral mortgages? This was an eye opener for Canadians… you should check this out. Banks and other financial institutions are suppliers of money. They will always try to maximize profits and shareholder returns. I’ve used this example before.. If you walk into a Chevy dealership and ask who has the best car, what do expect them to say? (by the way, Mortgage Brokers provide unbiased, market neutral advice and charge NO FEES for qualified applicants… They are also licensed and regulated under the Provincial Ministry of Finance….No one else can make this claim… Not BANK MORTGAGE SPECIALISTS… remember that when seeking out advice). DOES ANYBODY USE A TRAVEL AGENT OR STOCK BROKER OR INSURANCE BROKER? I keep seeing comparisons of different industries… buying stocks, booking flights or hotels, care insurance, life insurance… and yes, even mortgages. Somehow, each of these transactions can be done just as easily as buying a computer or book. It can all be done with the push of a button.. I’m challenging that myth.. yes, I think it’s a bit of a myth. Getting an insurance quote for your car or for a life policy, involves speaking with someone. Sure, you can get some rough prices, but when was the last time you actually went through an entire online quote process and didn’t have to speak with anyone? It just doesn’t happen. You have to speak with a licensed insurance advisor in order to get a ‘needs analysis’ done. Only then, can you choose the right product. How about buying stocks..? You can buy and sell stocks online, that’s true. But I’ve never really understood this mentality. Read any investment strategy manual or speak with any Investment Guru and you will see that buying any stock or mutual fund should be for the long term. Only seasoned professionals and investors with money to burn should be playing with stocks for quick buys and sells. I started searching vacation spots online and then narrowed the choice to a top 5 list. Then we started pricing things out online.. different flights, airlines, different hotels, different dates to see if we could save money… We looked up ratings of hotels, airlines, etc.. Some hotels had recent renos. Some were under renovations and should be avoided. We must have spent at least 30 to 40 hours researching this stuff. Seriously… And I’d much rather be doing other things than sitting in front on my computer! The more info I had, the more confusing it was.. was that hotel really a 5 star or a 4 star? Did that country have any issues recently? local govt? elections? safety? crime? is the water safe? etc? I didn’t know what to believe. Finally, I went to a travel agency in our local mall. I spoke with the agent. She gave us a lot of info.. She asked us several questions… She did a needs analysis, similar to what I do when speaking with a client. Then she came back to us a day later with her top 3 options. We compared her price to the online site prices, just to make sure we were in the same price range. Sure enough, the travel agents prices were competitive. Actually better than what I found online. Imagine that! Most consumers would prefer not to spend a few dozen hours going through all the online sites and still not know if they made a good choice.. Just do a Google search on ‘travel agents’ and you’ll see there are several storefront locations near you. They aren’t in business because nobody uses them! Trying to filter through all the hundreds of available mortgage products and terms isn’t for the amateur. Make a mistake, and it’s not just a few $$dollars… it’s more likely to cost you a few $$thousand! The average mortgage is well over $300,000. You do need to be knowledgeable to make an informed decision. And the internet can be a great source of info…. but making a final decision requires Expert advice. In Canada, we have a unique service that is FREE to most consumers. Mortgage Brokers do not charge fees to qualified applicants. They work similar to Insurance Brokers. 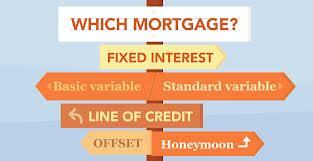 Mortgage Brokers will listen to your needs, and match this to best mortgage product for you. The shopping is already done by the broker. You just have to sit back and relax. Choosing a mortgage without professional help is foolish and unnecessary. And yes, I’m a Mortgage Broker. I’m proud of the services and advice I provide to my readers and clients. Your best interest is my only interest. Like this article? Share with a friend. I reply to all questions and I welcome your comments. Previous Previous post: CMHC increased insurance premiums… again.. but still cheaper than 10 yrs ago. Next Next post: Bond Yields are up… will Fixed Mortgage rates follow?